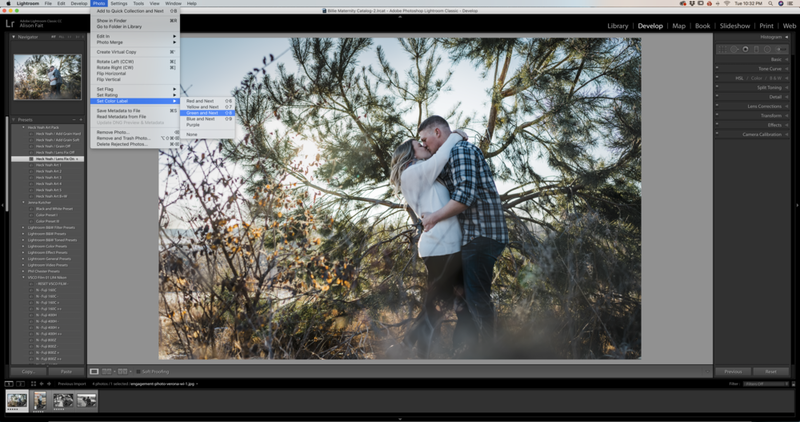 Professional photo editing for photographers and other creatives. 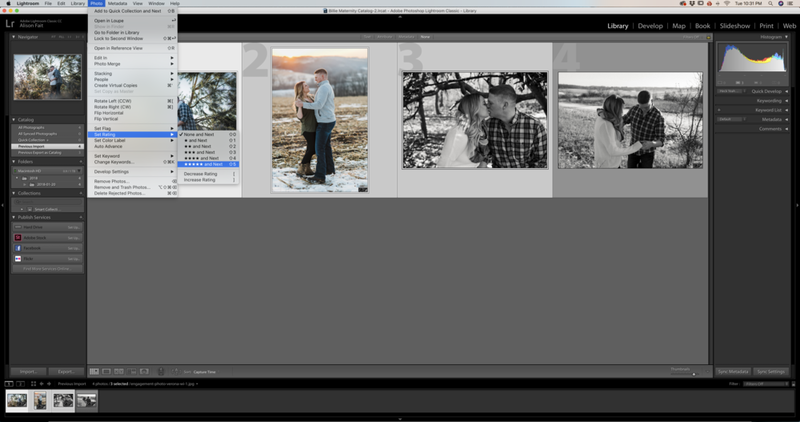 Instructions for sending Lightroom catalogs for outsourcing. Using the instructions and screenshots on this page, please prepare your images for editing. 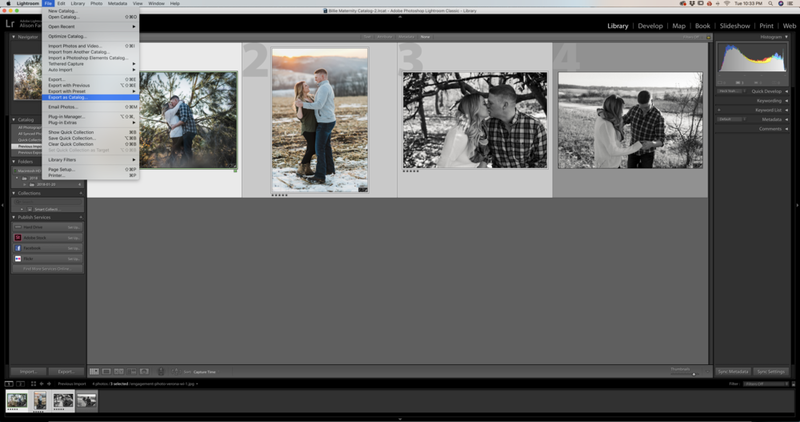 Once you have completed steps 1-10, send the final zip file to alison@ajphotocompany.com via Dropbox or We Transfer. If you have any questions, please don't hesitate to reach out. 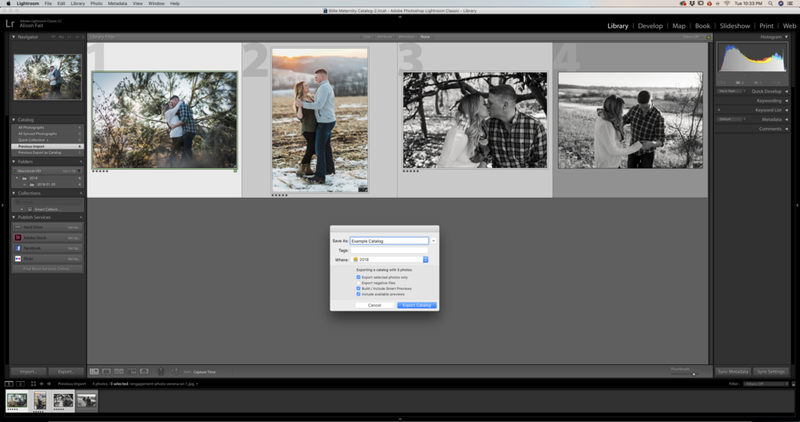 Import your photos into Lightroom as usual. If you are culling, apply your preferred ratings or rate all of the ones you'd like to send to me as a 5 (Photo -> Set Rating -> 5 Stars or 5 Stars and Next). If you are not culling, skip this step. 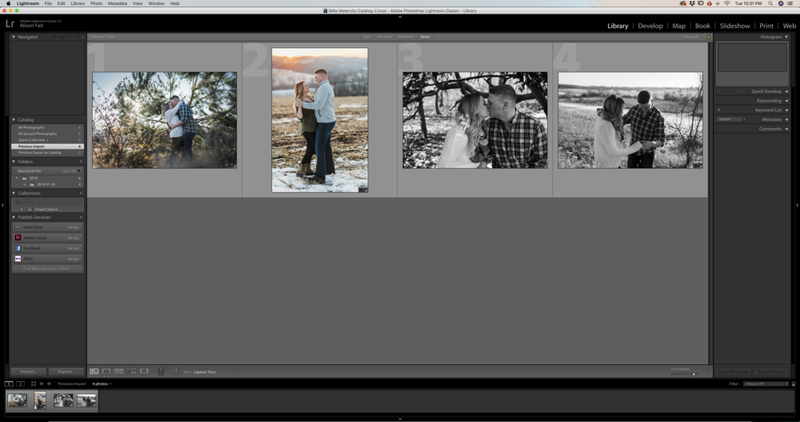 Edit a few photos from each lighting scenario as a baseline and set the color label for these photos to green (Photo -> Set Color Label -> Green or Green and Next). Select the photos you've rated (Edit -> Select by Flag or Select by Rating or Select by Color Label). If you did not cull, select all the photos you are sending. With the files selected, export the catalog (File -> Export as Catalog). In the dialog box, enter catalog name in the Save As field and navigate to the preferred network location. Make sure all of the checkboxes are selected EXCEPT Export negative files. Export Catalog. Navigate to the network folder you used to export your catalog. Select all three files in your network folder (e.g. Example Catalog Previews.lrdata, Example Catalog Smart Previews.lrdata, and Example Catalog.lrcat). Right click and select Compress 3 Items. A new zip file will be created (Archive.zip). Rename Archive.zip to CCYY.MM.DD_Company-Name.zip (e.g. 2018.01.23_AJ-Photo-Company.zip) and send to alison@ajphotocompany.com via Dropbox or We Transfer.